St John’s is an oversubscribed Catholic Academy offering our students an excellent learning environment. 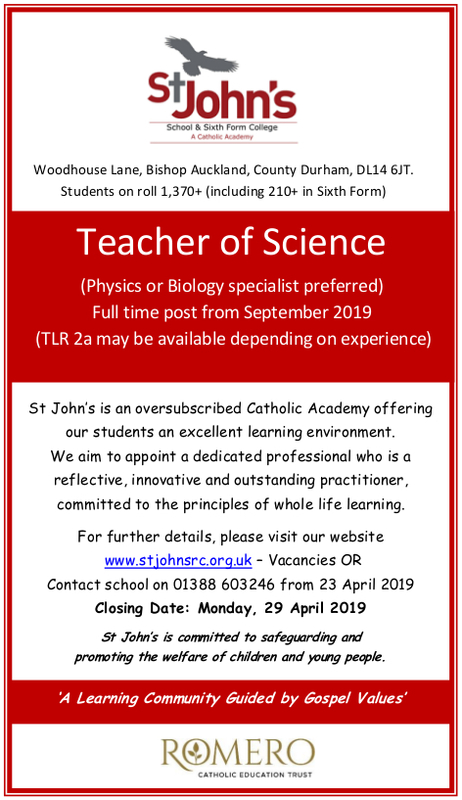 We aim to appoint a dedicated professional who is a reflective, innovative and outstanding practitioner, committed to the principles of whole life learning. St John’s is committed to safeguarding and promoting the welfare of children and young people.